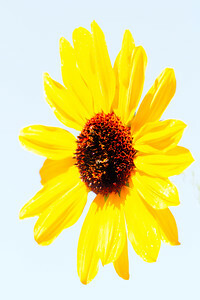 This is a little more artsy than I usually do, but it is a lot of fun! 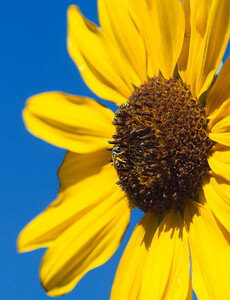 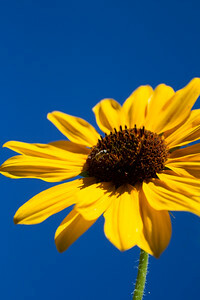 See the bee? 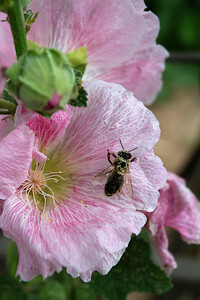 Deb calls the pollen on the bee legs "pollen pants". 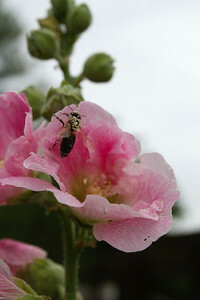 This pollinator has pollen all over her back. 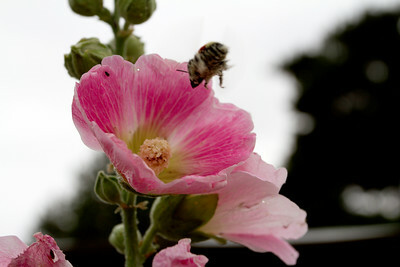 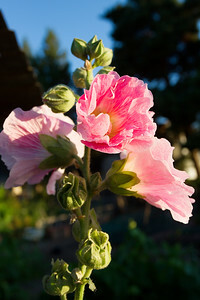 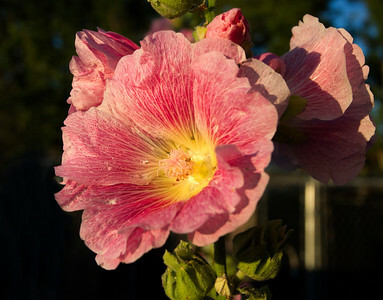 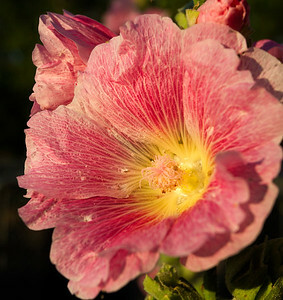 Pretty pink and yellow hollyhock facing the morning sun. 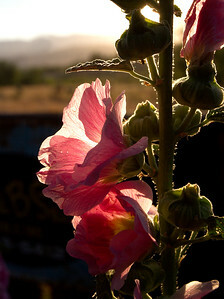 The morning sunlight illuminating hollyhock petals.